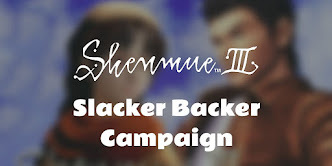 The two hours of SEGA Japan's talk panel live stream discussing Shenmue I & II passed by in a flash, and did a great job of promoting its Japan release exclusively for PS4 on November 22nd. The stream included memories and comments from the guests, a quiz, and anecdotes from those who developed the original games. 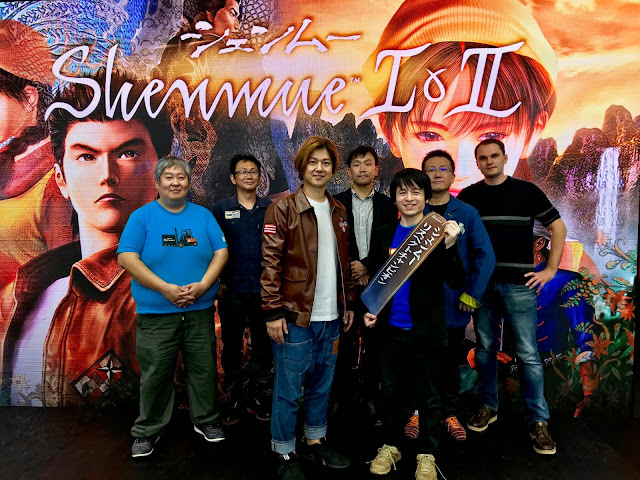 Masaya Matsukaze, Ryo's voice/motion-capture actor for the Japanese version, was MC for the session and was accompanied by two of the original developers of the games: Eigo Kasahara and Hiroshi Noguchi (original roles: Planning Director and Real Time Movie Designer); they two have also been handling the localization of Shenmue I & II for the domestic market in Japan. The guest panel consisted of members of the Japanese media, with editors/journalists from Weekly Famitsu, Dengeki Game Media, 4Gamer and IGN Japan. A shorter stage discussion was held on the SEGA stage at the Tokyo Game Show in September with the same participants, but this time much more time was allotted. Here is a selection of video grabs to give the flavor of the session. Favorite characters (clockwise): Ine-san [Famitsu], Ren [IGN Japan], Delin [Dengeki], Mark [4Gamer]. 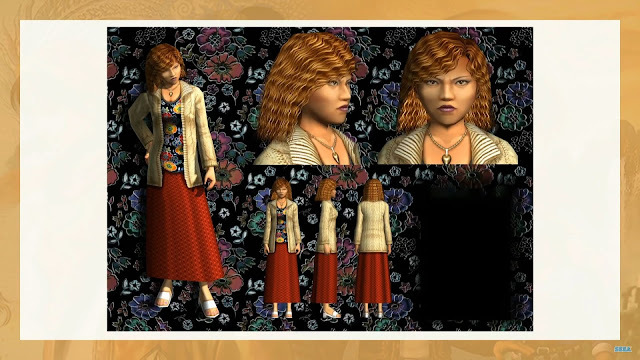 Noguchi revealed an image of an unused female character model that had been proposed for use in Shenmue I during its development. 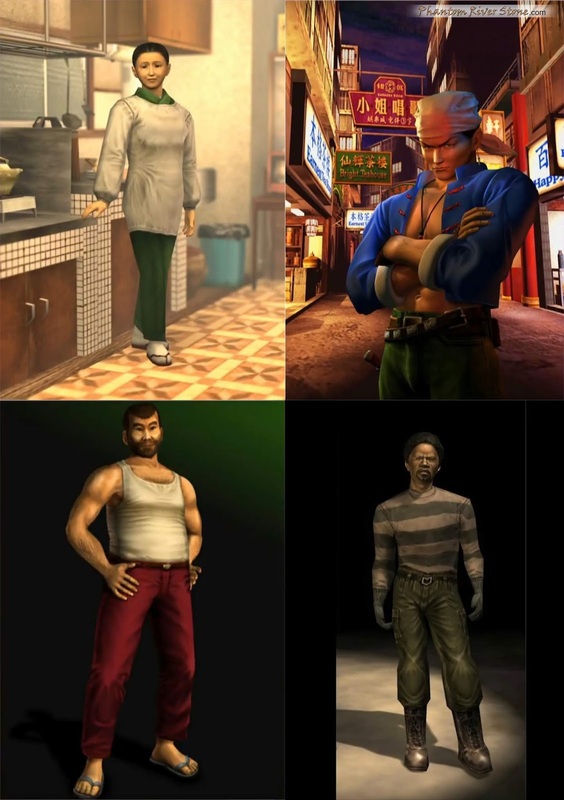 (As far as I know, this is the first time Shenmue fans have seen this character). A previously-unseen character model, not used in the final game. The quiz question was: which game character was this originally going to be? The answer was among: Nozomi Harasaki, Eri Tajima, Mai Sawano and Mayumi Mishima. Surprisingly, the correct answer was #3: Mai Sawano, the younger daughter of the owner of Hokuhoku Lunches (and who later becomes engaged with Goro). The model of Mai Sawano used in the released game. 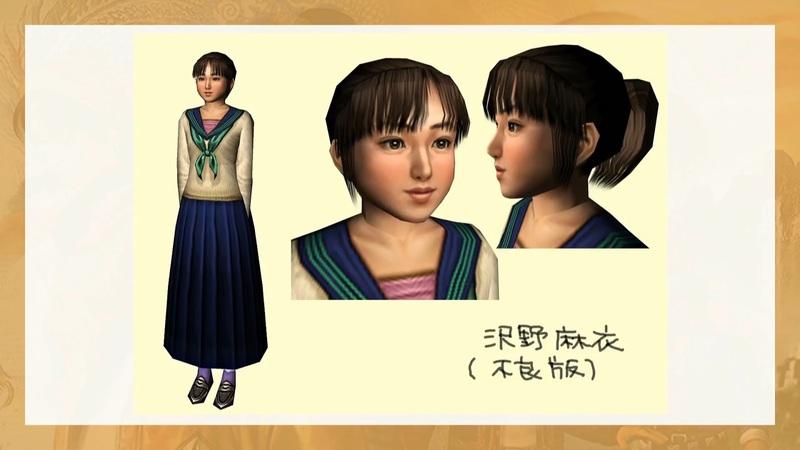 Noguchi related that Yu Suzuki rejected the proposed model, saying that it looked like someone who works at a hostess club! Also shown was a slide of Fuku-san wearing everyday clothes, rather than the martial arts costume we are used to seeing him in. 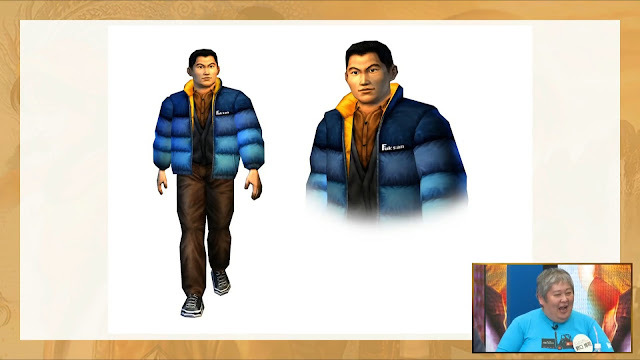 (Although unused in the final game, this model is one that is known to the Shenmue community, having been discovered among the Shenmue files on the What's Shenmue demo). Unused model of Fuku-san (having his name on the jacket seems somehow fitting). Noguchi revealed that originally, it had been planned that Fuku-san, not Nozomi, would be the one to be kidnapped by the Mad Angels! The motorcycle ride with Ryo and Nozomi was a separate, unrelated scene. However when Yu Suzuki was reviewing, he suggested that Nozomi be the one to be kidnapped, leading to the romantic ride home with Ryo that we know in the final game. Matsukaze commented that various scenarios would be developed by the team in parallel, meaning that such re-adjustments and combinations of scenes were possible. Masaya Matsukaze showcased the actual packaging of the Limited Edition of Shenmue I & II for the Japanese market, which comes with a 40-track double-CD of music called "Sound Collection." See our previous post for a list of the proposed track names in English. 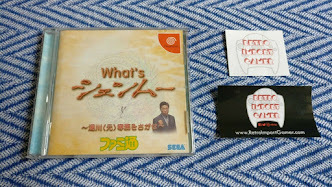 Kasahara commented that the artwork design for this package (including the Sound Collection) was undertaken by the same designer that created the original character models of Ryo Hazuki and Mark Kimberly. It is a recomposition of art made for the original game. The full stream can be viewed here (Japanese) on SEGA's channel. 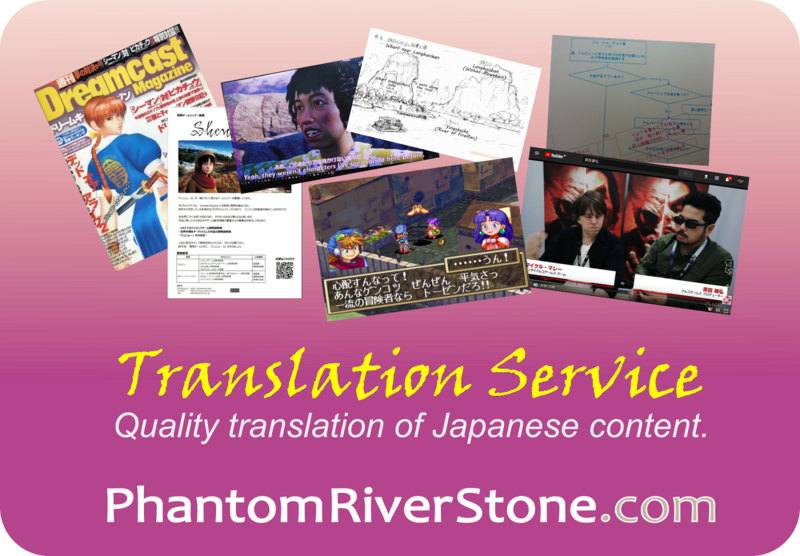 We will also be looking at captioning selected excerpts from the video in the future. This may be the first time they have been made public! They were brought along by Sega especially for this event.